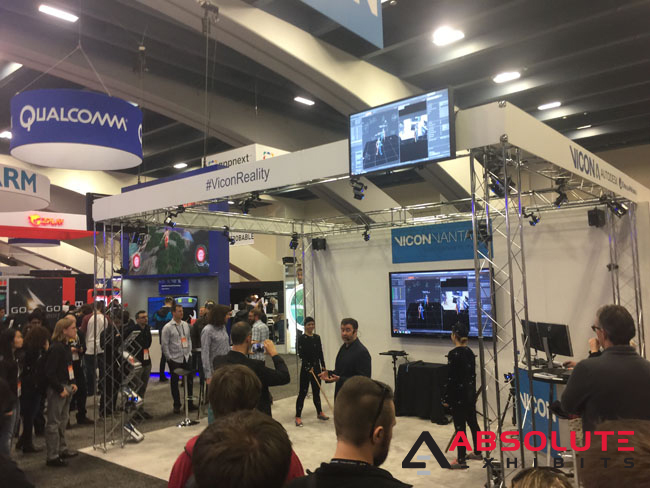 How to Incorporate Technology into Your Trade Show Booth Smartly | Absolute Exhibits, Inc. Whether your industry is technology, gaming, or even HR, touch screens can benefit you. By incorporating touch screens in your trade show booth, you allow trade show attendees to engage with your goods and services in a tactile way. By engaging more senses than just visual, people stay longer, ask more questions, and are more likely to become a viable lead. 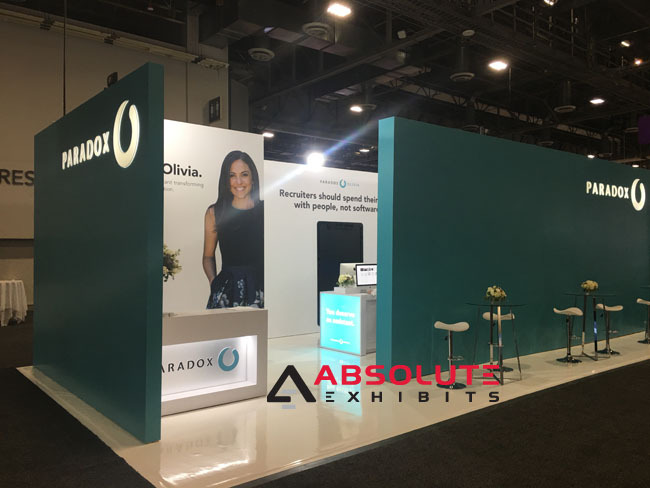 Consider how a company like Paradox, an HR technology solution, used touch screens in the shape of giant iPhones inside their trade show booth, attracting more trade show attendees who stayed longer on average. This was an attractive addition to their booth and a very functional one, displaying their technology in a smart and engaging way. Virtual reality is becoming increasingly common. In fact, it’s being used not just in the tech industry. Recently, a tire company asked its trade show booth visitors to view life on the road from the perspective of a tire. In other industries, virtual reality has been used to show off new technologies and to place people in their dream homes while standing inside their trade show booth. No matter your industry, this is a technology which can be smartly incorporated into your trade show booth and enhance your visitors’ experience, immersing them in your brand. What if you had a digital sign hanging over your trade show booth displaying a video of your products? That would attract a lot of attention. And in fact, that’s just what UAM did, attracting visitors from across the trade show floor. But video doesn’t just have to be splashy on a digital sign over your booth. 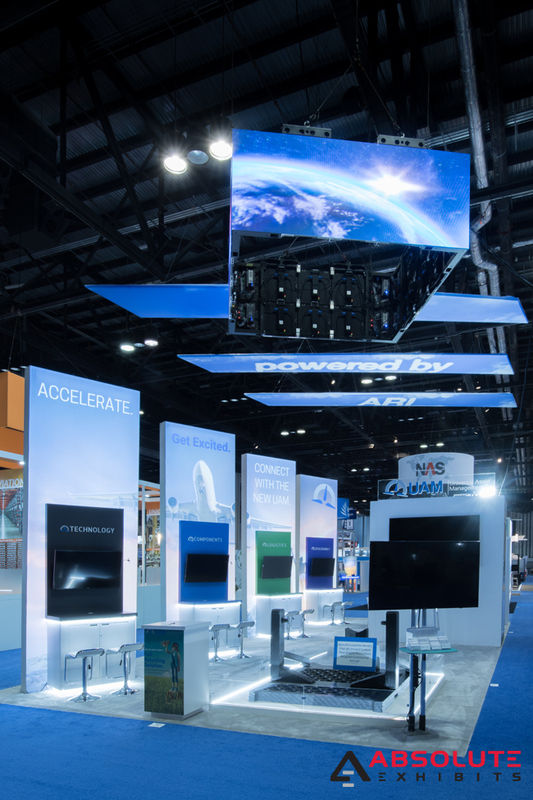 You can also display video on LED screens inside your booth, displaying product demonstrations, deeper looks at new product lines, and more. Video is a great way to engage people and to keep them interested while they’re in your trade show booth. You can also use video walls to do everything from project faux textures to display commercials, movement, and more to catch people’s attention. There are many ways in which people are incorporating technology into their trade show booth- from marketing to passerby on their phones with geofencing to displaying their products and engaging them longer while they’re at the booth. For more great ideas, ask your exhibit house partner how your brand can spruce up your booth and incorporate more technology.